The Garden Kneeler is a cleverly designed gardening aid that is very sturdy and easily folds for storage. It can be used as a portable seat or padded kneeler giving you extra comfort when out in the garden. The foam padding is 22mm thick and the frame is made from welded steel and is powder coated and finished in a traditional forest green colour. 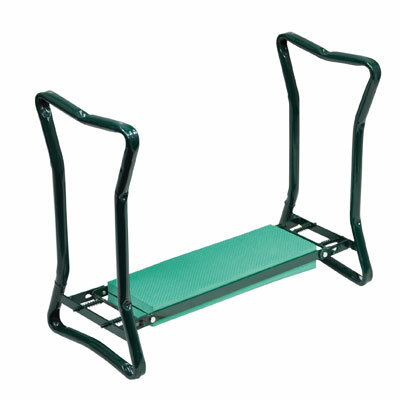 When inverted and used as a garden kneeler, the legs of the bench act as handles and assist you in getting up and down.